Love Where you Live – It's All About You! Do you have that favourite room in your house? You know that space, the one you gravitate to, smile when you walk in or just even walk by. I do; mine is a living room close to my front door. Every day, coming and going, I see my cream-coloured leather couches, with the blue green walls (Benjamin Moore Carolina Gull), my favourite patterned rug on heated 12 by 24 porcelain tiles and creamy white accents and I say "Oh, you are nice." For you, your favourite room may be your kitchen, cheery, bright, airy or your theatre room, tech-savvy system, big screen and reclining seats for beverages. I've talked to moms that love the master bedroom retreat with a light grey padded headboard and crisp cotton geometric patterned comforter with pops of colour. Their bedroom ensemble includes a serene colour pallet with oatmeal accents and warm wood furniture or painted in a rich grey stain. Moms also will be quick to tell me their favourite new room is their kids' or babies' bedroom: freshly fixed with a feature wall in non-gender-specific colour like lavender or icy blue, just white, or white on white furniture and happy framed art of chevron, retro artwork of animals, favourite story book illustrations. Whatever your favourite room or space is, it must say "you". How do you achieve this and know you are on the right track? 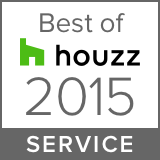 Pick a design professional who knows different styles and will capture yours. Research your style. 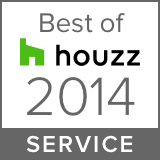 The Pro-Pack team's work is listed on Houzz.com. We showcase there exclusively with the exception of our own website because of the ease of researching real projects and finding style examples. You may not have one specific style and that's good. Blending styles is one of the best tools for creating interesting spaces. For example, your partner loves rustic and you like classic pieces with a modern twist. Picking the space you would like to remodel i.e. living room, en suite, bathroom by clicking the tab to view photos on many different style choices until you find pics that interest you. Save them to your idea book and email them to your design professional. Keep them as easy access for bringing up on your smart phone and when referring back to style choices in furniture and accessories farther into the renovation or build. We are all individuals, so your space should reflect you by showcasing what you love. Love where you live is the Pro-Pack Team's goal in renovating any space in your home. It speaks to individual style and taste but also to community and where you choose to call home. 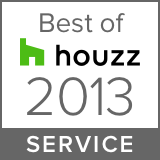 If you have question about finding your style, blending styles and using the Houzz website, we would be happy to help. Contact us via the form listed here or our visit our office/showroom location listed below. You can also subscribe to our newsletter for even more design inspiration! Newer PostPro-Pack's Ultimate #Canada150 Deck Party Contest!